On July 9th Staff and Volunteers from Habitat for Humanity took part in the Duncan Panago Grande parade. 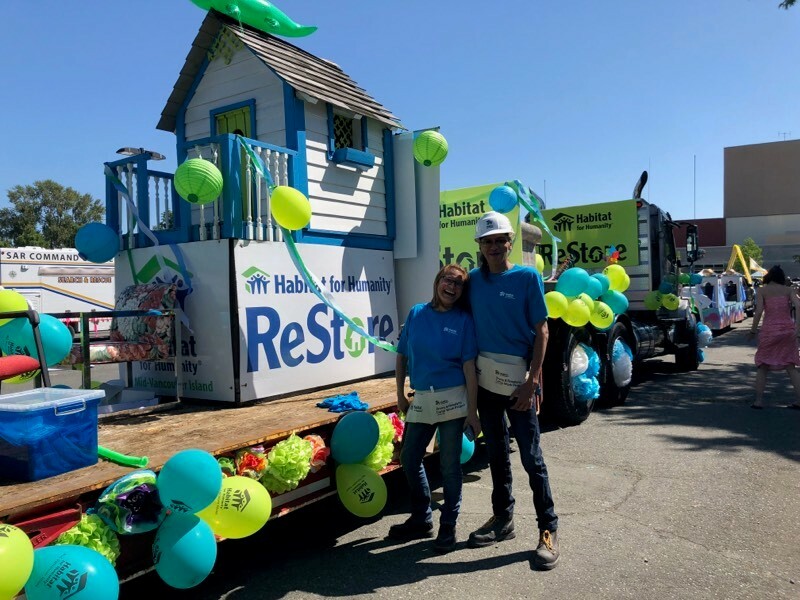 This was the first year that Habitat Mid-Vancouver Island has taken part in the parade and it was a great success. Thanks go to the nine volunteers who gave up their day to help decorate the float, participate in the parade and run a community BBQ at the Duncan ReStore. Thank you also to D.B.L Disposal Services Ltd who provided the truck for our float. We think we did the parade theme ‘Show your Colours’ proud!